Just slip the twin steel mounting rods into the two holes in the front edge of your (newer model) Shopsmith cast aluminum bandsaw table and tighten the two locking knobs (included with the table extension). 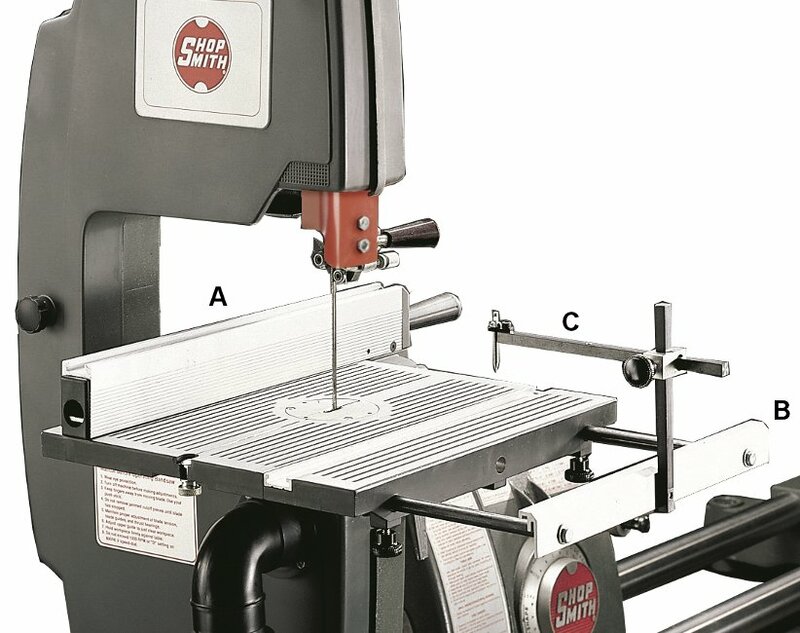 Provides loads of extra support and stability when cutting larger, more cumbersome workpieces. Add the optional Shopsmith circle cutter to cut perfect circles from 2" to 36" in diameter, quickly and easily.